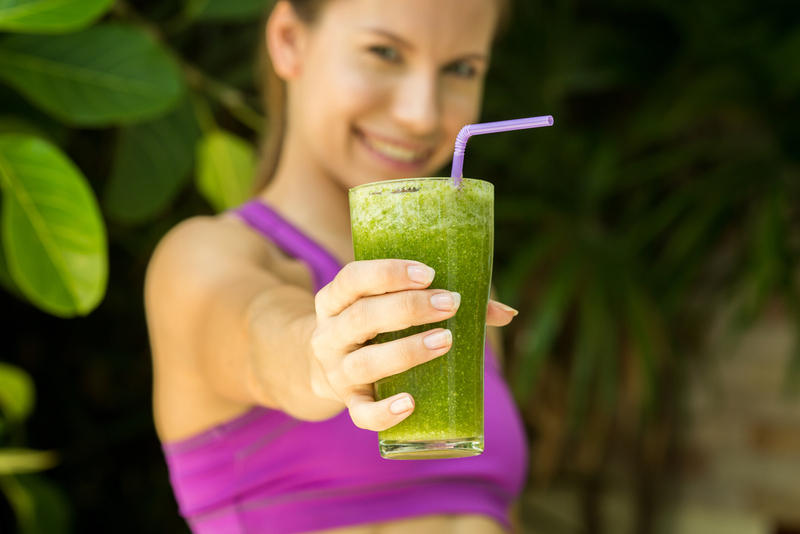 Why juicing and blending is a great way to cleanse and restore your system. After feasting with abandon on Thanksgiving turkey, stuffing, cranberry sauce, and pecan pie, it is safe to say that our stomachs may feel the need to press reset. So how do we restore balance? The answers: juice and smoothies. Incorporating these into your daily routine is a great way to help you cleanse and restore. Having spent two weeks at Juicy Oasis in Portugal, run by Jason Vale (aka “The Juice Master”). I learned some sensational recipes that I have incorporated into my daily routines. Below are some of my favorite recipes, inspired by Jason Vale's Funky Fresh Juice Book. But first some background information on juices and juicing versus smoothies and blending. Whereas green juices can be seen as instant "boost" because they provide your body with instant vitamins that take little energy to digest, green smoothies are loaded with fiber that cleans out your system. What's the difference between juicing and blending? Juicing separates the pulp from the juice of your veggies, sprouts, and fruits. Juicing gives your body an energetic break, allowing it to focus on repair and renewal. Smoothies are made in a blender, which means that the fiber stays in your drink. 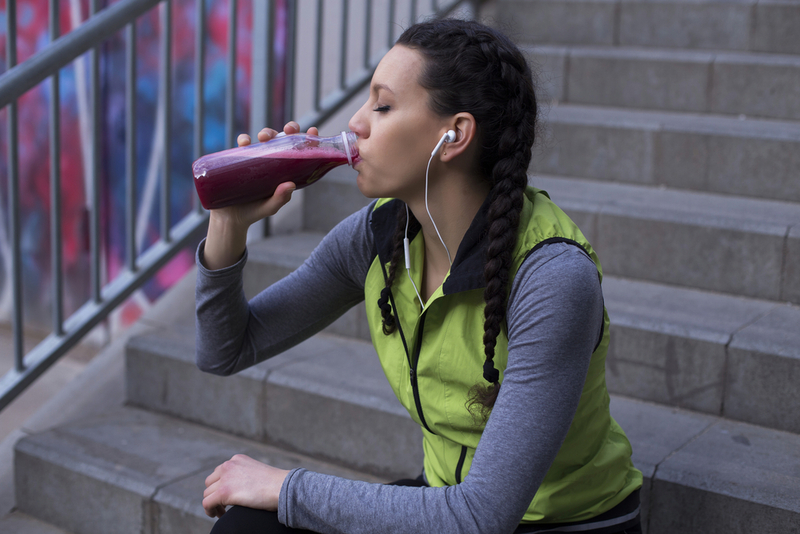 In addition to fruits and vegetables, you can add protein powders, nut milks, healthy fats, a variety of superfoods, and other ingredients to your smoothies. Here are some of my favorite juices and smoothies. For this smoothie you will need two golden delicious apples, two celery stalks, one-third medium cucumber, a peeled lime, 3cm chunk of fresh ginger root, one-half (ripe) avocado and a small handful of ice cubes. Juice the apples, celery, cucumber, lime, and ginger. Place the juice, ice and avocado into the blender, and blend until smooth. This smoothie is best served as a meal replacement for breakfast. Start your day with some hot water and lemon, followed by a morning workout or run. If you work out on an empty stomach in the morning you turn into a "fat burning machine". This yummy juice contains of one pink lady apple, one medium pear, one small parsnip, one handful of fresh mint leaves and one small handful of ice cubes. Load the pear and parsnip in the chute, then pack in the mint behind it. Place the apple behind the mint and juice the lot, pour over ice and enjoy. To prepare this smoothie you will need two golden delicious apples, one large handful of spinach leaves, 1/3 medium pineapple, one medium (ripe) avocado, one teaspoon spirulina and one small handful of ice cubes. Juice the apples, spinach and pineapple. Before you turn the juicer on, make sure you pack the spinach tightly into the chute, behind the apple, to get maximum juice. Pour the fresh juice into the blender then add the avocado, spirulina and ice (optionally you can add some hemp seeds). Blend until smooth making sure all the powder has been fully dissolved. This smoothie is best served about one hour after lifting weights to feed the torn muscles. Avocados are packed with practically everything your body needs. They contain vitamins A, B-complex, C, E, H, K and folic acid; plus magnesium, cooper, iron, calcium, potassium and many other trace elements. They also provide the essential amino acids, plus seven fatty acids, including omega 3 and 6, and more protein than cow's milk. You will need one large handful of kale, one large handful of spinach, two golden delicious apples, 3 cm chunk of broccoli stem, one small bulb of raw beetroot, one half seeded green bell pepper, one small handful of ice cubes. Pack the kale and spinach tightly into the chute of the juicer behind one of the apples. Add the broccoli, beetroot, bell pepper (remove the seeds) and close with the last apple. Juice the lot and pour over ice if you want to cool it down. This juice has an extremely high iron content, making it a great blood builder. This concoction regenerates and reactivates the red blood cells and supplies fresh oxygen to the body to help in the treatment of anemia. Add a wheatgrass shot to this juice, or if wheatgrass is not to your taste, drink the shot in one hit and take a bit of a piece of orange immediately afterwards. Take one peeled lime, two handfuls of fresh mint leaves, four handfuls of green seedless grapes and one small handful of crushed ice cubes. Line the inside of a tall glass with a handful of mint leaves and fill with crushed ice. Put the grapes into your juicer with the lime and a handful of mint. Turn your juicer onto the slowest speed setting and push through slowly. Pour slowly into your glass, garnish with a lime wedge and some mint leaves and serve with a straw.